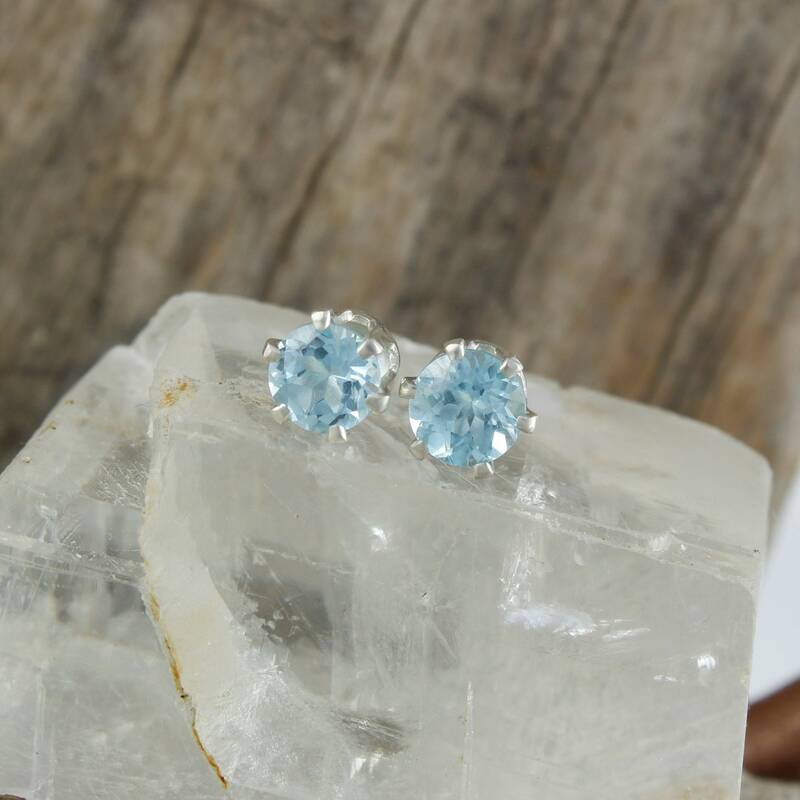 Natural Aquamarine Earrings - Sterling Silver Post Earrings - Blue Aquamarine Studs: These sterling silver earrings feature two natural blue Aquamarine stones. 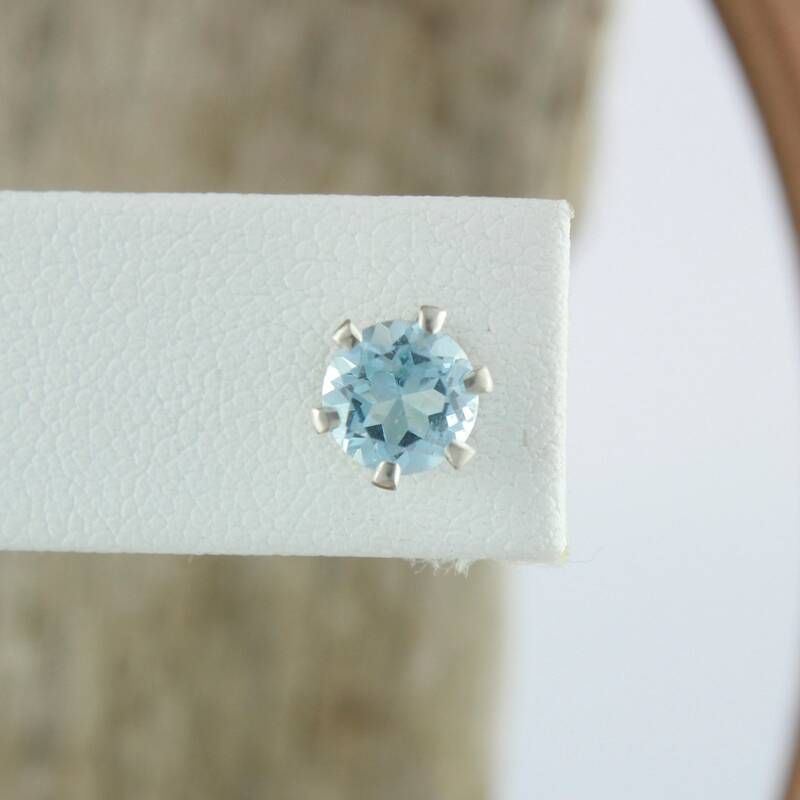 The Aquamarines are both 6mm(1/4") rounds and have a total weight of 2.0 ct.. 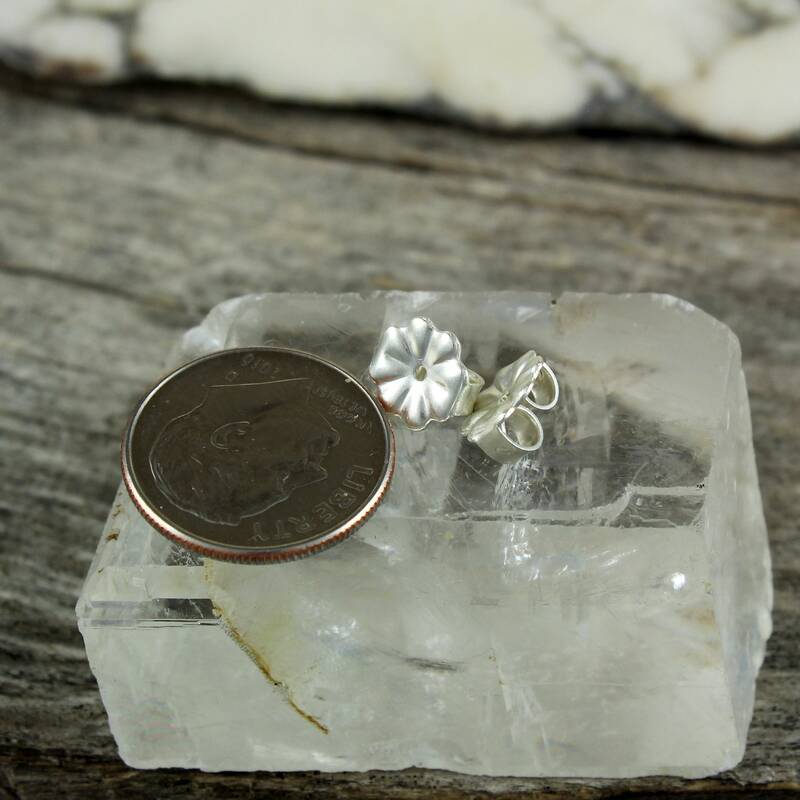 The included, large sterling silver backs are 7mm (5/16") in diameter. 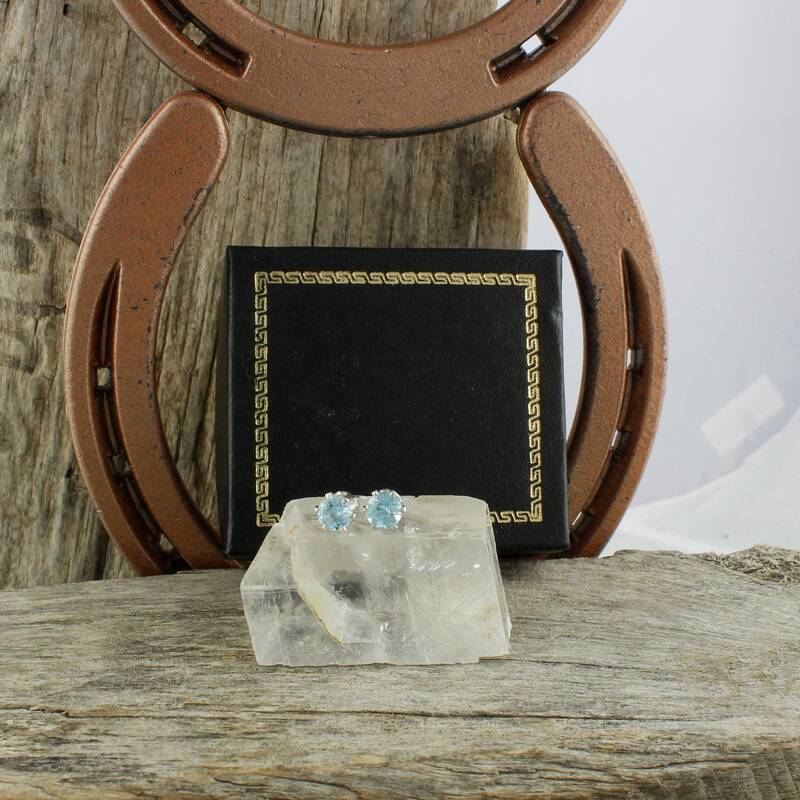 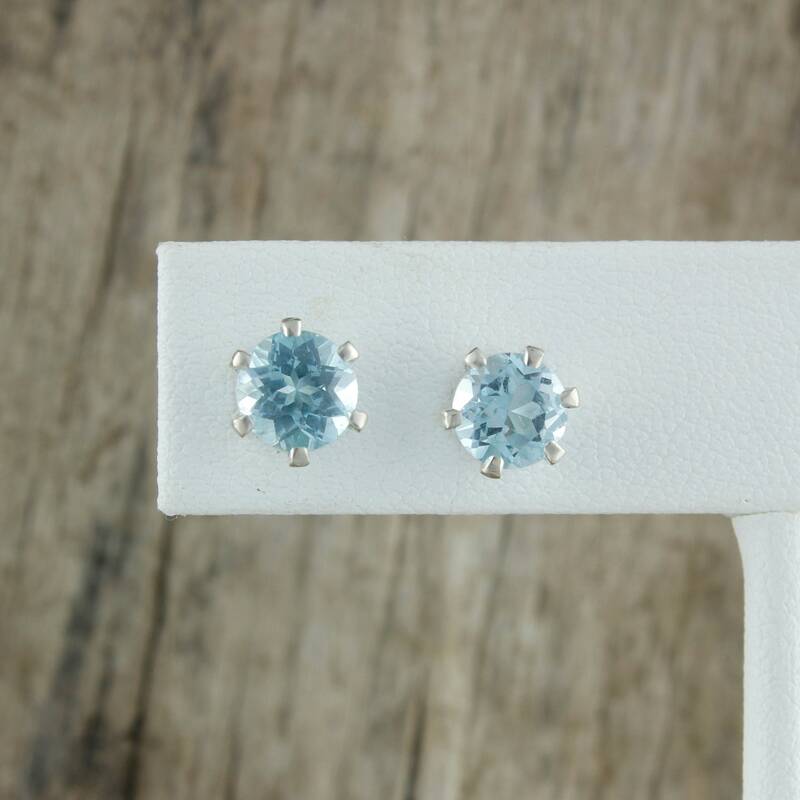 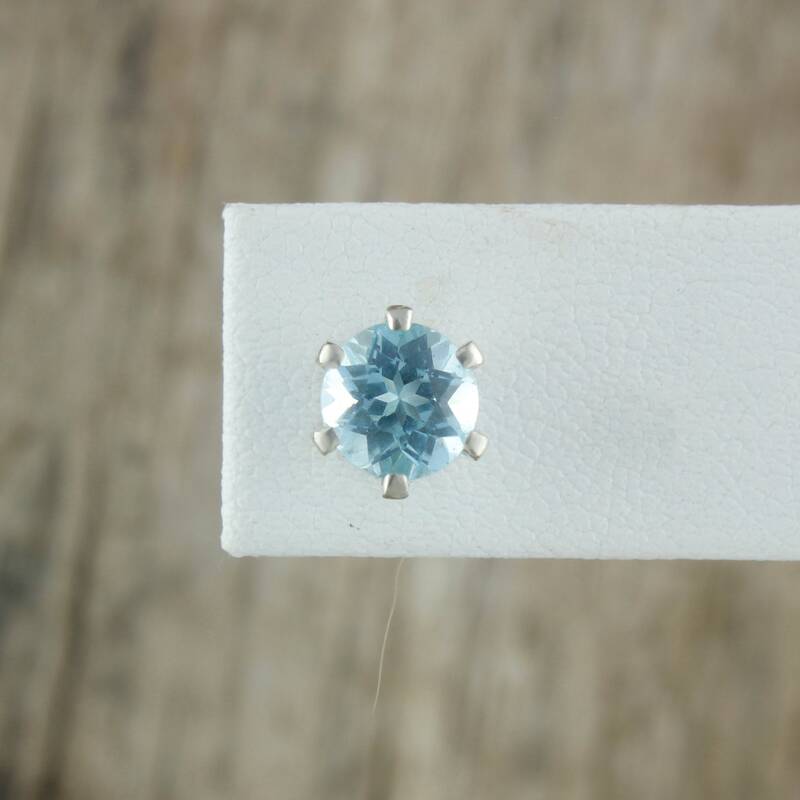 Both stones have that stunning light blue color that makes March's birthstone so sought after! 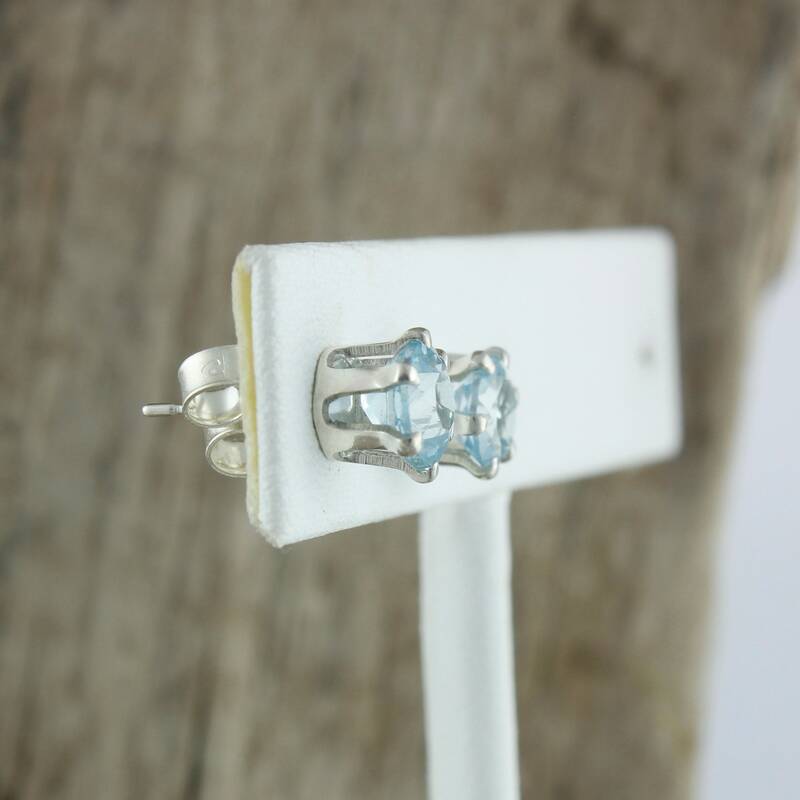 The silver settings add to the sparkle of the blue color. 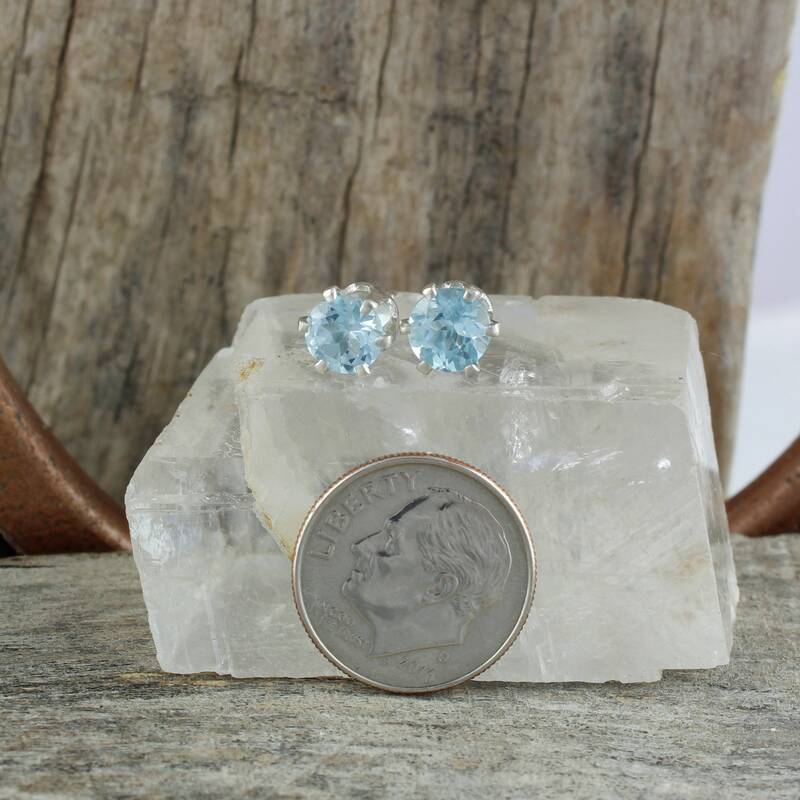 These earrings can be worn for everyday wear or for formal occasions. 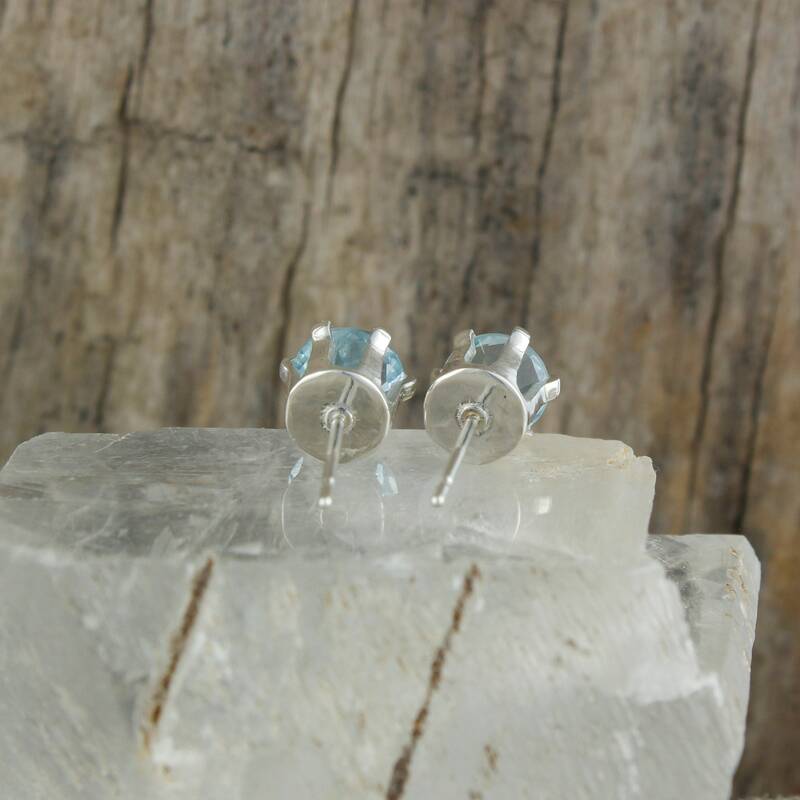 These are a quality pair of earrings that will make an excellent present! 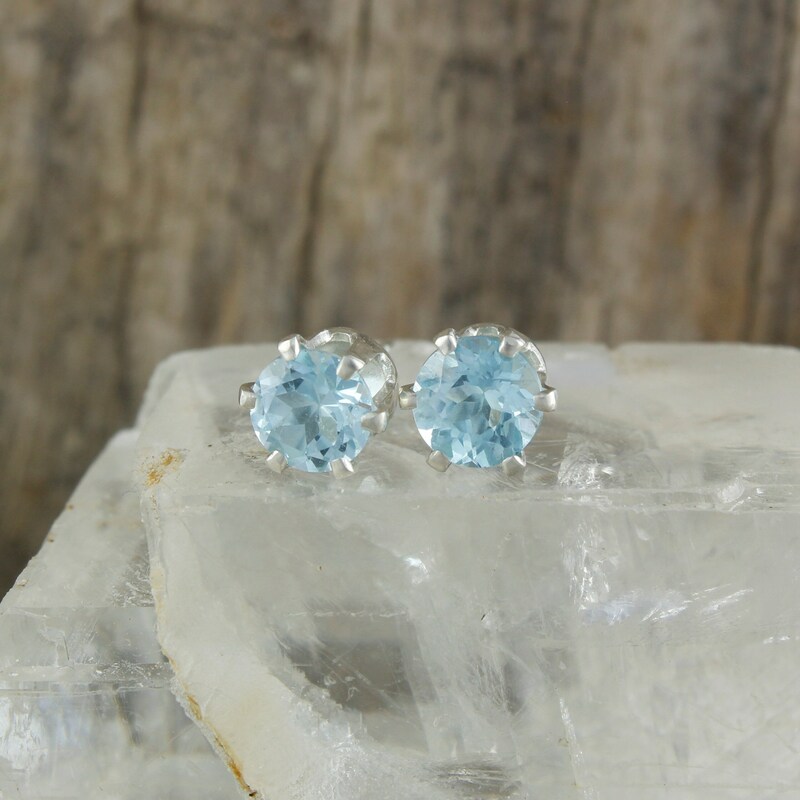 As with every pair of earrings we sell, this pair will arrive in an elegant gift box for no extra charge!